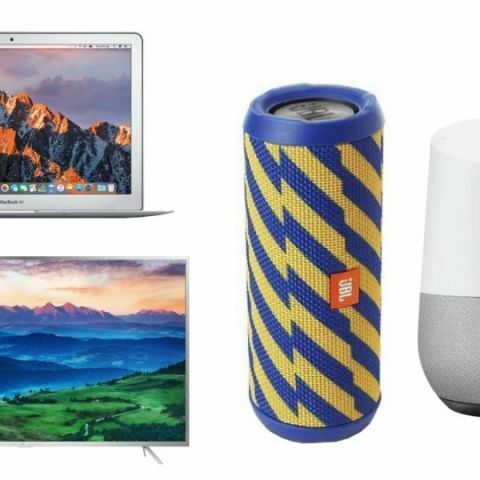 Flipkart's Big Billion Days sale is still going on and this time around, we look at some of the best deals on frdges, TVs and more on day three of the sale. The Flipkart's Big Billion Days Sale are going strong on its third day. The sale will end on October 14 Sunday, so here We have handpicked the best deals that are currently available on the platform during its Big Billion days sale. The MarQ by Flipkart Full HD LED TV that offers a resolution of 1920 x 1080 pixels and a panel size of 24-inches. The TV is available on the Big Billion Days sale at a price of Rs 7,499. There is also a No Cost EMI option, which is starting at Rs 1,250. View deal here. The iFFALCON K2A offers a 4K panel under Rs 50,000. The TV comes with a built-in Wi-Fi, which allows you to connect the TV to your home network and download apps like Netflix, Youtube and more. The product is available during the sale at a price of Rs 41,999. You can also get an additional 10% discount on using HDFC bank's debit/credit card. View deal here. The Samsung 324L Frost Free Double Door Refrigerator comes with five conversion modes that allow you to turn your freezer into a fridge or vice versa. The Digital Inverter technology in this fridge automatically adjusts the compressor speed as per the food load and outside temperature. The fridge is now available at a price of Rs 28,290 along with an addition cashback of 10% when you make payment via HDFC bank card. View deal here. The Whirlpool 240L Frost Free Triple Door Refrigerator comes with 6th Sense Active Fresh technology that prevents up to 99.999% bacterial growth in the fridge. It has Active Fresh zone as well that that keeps your fruits and vegetables fresh for long hours. The fridge is now on sale and can be bought at a price of Rs 22,990. View deal here. The JBL Flip 3 is a wireless portable speaker that comes with a battery life of up to ten hours. The speaker is available on the sale with over a 50% discount. View deal here. The Google Home is a smart speaker that comes with the Google assistant, which can play music, provide news and set an alarm on your command. You can also connect the speaker with your smart TV and control the content you are watching on Apps. The device is available on the sale at a price of Rs 6,999. View deal here. The Lenovo Ideapad 330 is powered by the latest 8th Gen Intel Core i5 processor, which is paired with 8GB DDR4 RAM and 1TB hard drive. The laptop comes with a special PC ABS paint that protects your laptop against damage. The machine is available on the Big Billion Days Sale with a flat 31% discount. View deal here. The Dell Inspiron 15 3000 is powered by an Intel Core i3 6th Gen processor, which is paired with 4GB DDR4 RAM and 1TB hard drive. The laptop is now available at a discounted price of Rs 24,990. There is also a 10% instant cash back and extra Rs 2500 off for those who have HDFC bank debit or credit card. View deal here. The Apple MacBook Air is powered by an Intel Core i5 5th Gen processor, which is paired with 8GB RAM and 128GB hard disk. The device is available for Rs 53,990 on the sale. View deal here. The HP 14q is powered by an Intel Core i3 7th Gen processor. The machine packs a 4GB RAM and 1TB hard drive. The laptop is now available on the sale for Rs 21,990. View deal here.